The Springhill Care Group philosophy is simple – Your Care, Your Way. Springhill operates three care homes – Birch Green Care Home in Skelmersdale, Riversway Nursing Home in Bristol and Springhill Care Home in Accrington. 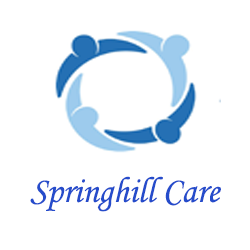 Springhill Care also offers supported living services for adults through its service, Affinity Supporting People. Staff at each of our services go the extra mile to make everyone feel welcome, offering person centred care and support that is both therapeutic and enjoyable.